Resplendent in all-carbon bodywork, it is the first of several VŪHLs destined for the Mexican roads this year. 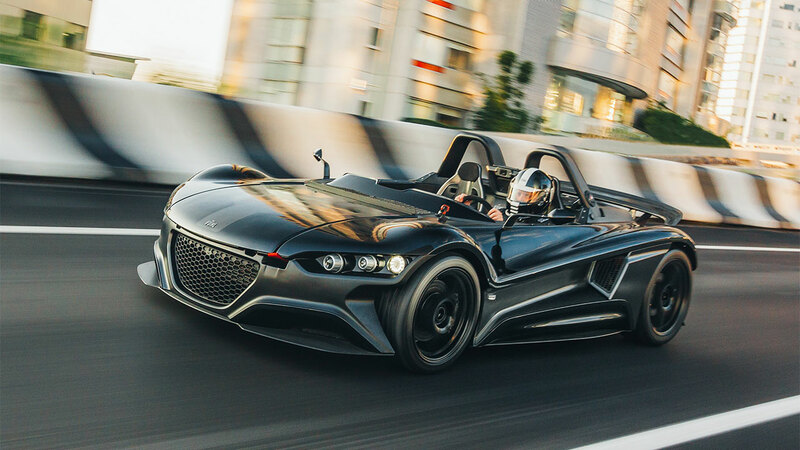 The street legal road/track car will soon be seen in the Middle-East too, as the company’s newly-appointed dealer for that area has ordered a number of 05s for sale in Kuwait, United Arab Emirates, Saudi Arabia, Bahrain, Oman and Qatar, which will be delivered in the fourth quarter of 2015. The VŪHL 05 first hit the headlines at the 2013 Goodwood Festival of Speed, where it was campaigned in the annual hillclimb by Mexican-born F1 ace Esteban Gutiérrez. The considerable interest this created in the UK and mainland Europe is finally close to being satisfied, as the first righthand drive example has passed its IVA (Individual Vehicle Approval) test with flying colours, and will very shortly be put through its paces by the key UK media. The appointment of the first British dealership will be the final step on the road to sales on these shores, an announcement about which is now imminent. Said VŪHL Managing Director Guillermo Echeverria: “It is naturally very rewarding to have a bank of orders for Mexico and the Middle-East, but we fully recognise the importance of the UK market and have therefore worked especially hard to ready the car for sale in this territory. This has included creating a special all-inclusive launch price of £59,995. 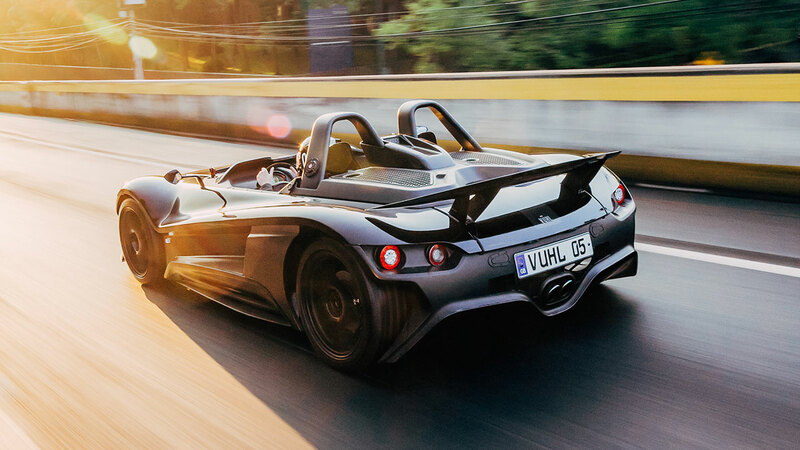 Born of motorsport heritage and weighing in at just 695kg, the VŪHL is powered by a mid-mounted 285bhp version of Ford’s award-winning 2.0-litre, DOHC turbocharged EcoBoost engine, which endows it with a highly competitive power-to-weight ratio of 400bhp per ton – sufficient for a 0-60mph time of 3.5 seconds and top speed of over 150mph. Designed and built in Mexico, the 05 nevertheless has a truly international specification and 40 percent of its components are sourced from the UK. The high-tech chassis comprises a three-section bonded tub constructed from aluminium extrusions and aluminium honeycomb - aerospace technology that provides the 05 with a remarkably high level of torsional rigidity for optimum handling. Bolted direct to the passenger cell is a chrome-moly steel subframe housing the engine and rear suspension. A three-stage forward crash structure and double layer sidewalls provide a matchless level of protection for the occupants. 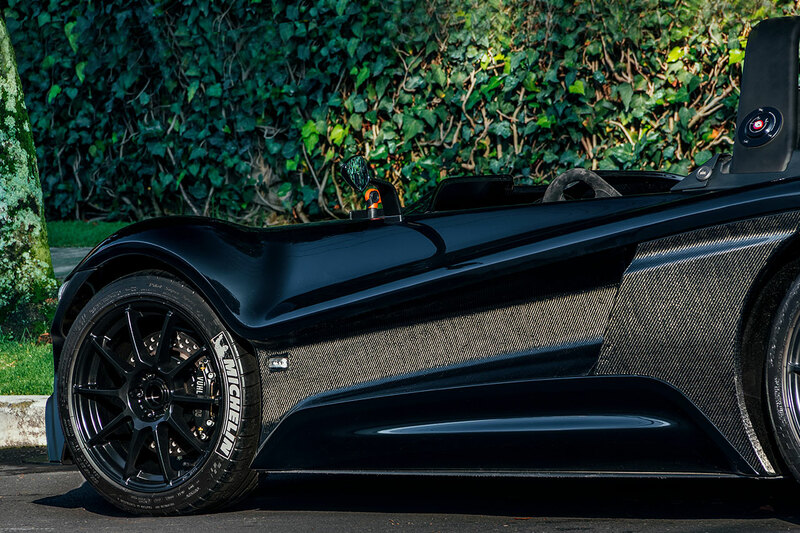 The standard body is made from GRP, but carbonfibre is an attractive option – it saves over 30kg in weight and the exposed parts can be configured to taste. The sophisticated aero features include a flat underbody, front and lateral splitters, rear diffuser and rear spoiler. 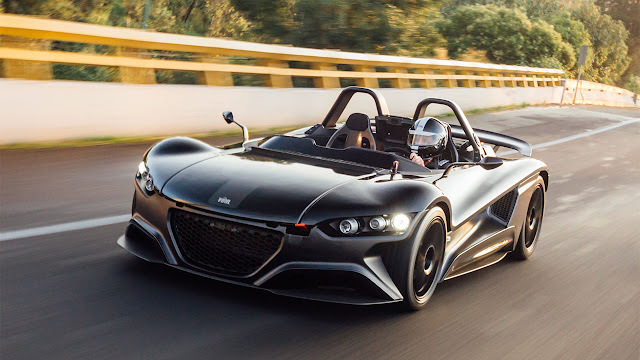 Other interesting features and upgrade options include: carbon bucket seats with water-resistant Dinamica suede trim; exposed carbon bodywork panels; 330mm quick-release suede-covered steering wheel; electronic data acquisition dash; built-in HD camera; wide range of colours in matt and gloss finish; titanium bolt pack. 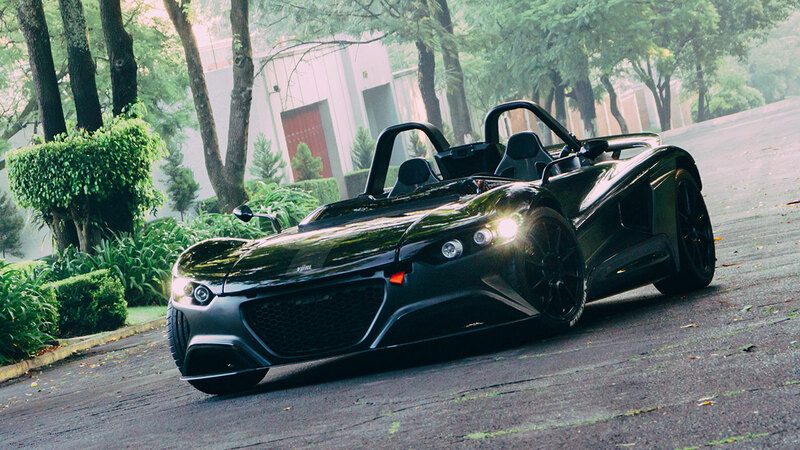 For further details of the exciting VŪHL 05 see www.vuhlautomotive.com.